Windows 10 new theme offers a lot of features but also brings up lot of bright white, for some users this may not be the best choice, lets enable a dark theme and see if darker makes it more soothing for your eyes. 1. 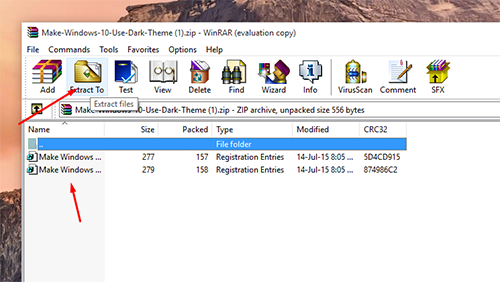 Download Make Window 10 use the dark theme.ZIP and unzip it to your desktop, you don’t need additional software because windows 10 has a built-in unziper , but we use winrar. A. Make Windows 10 Use Dark-Theme. B. 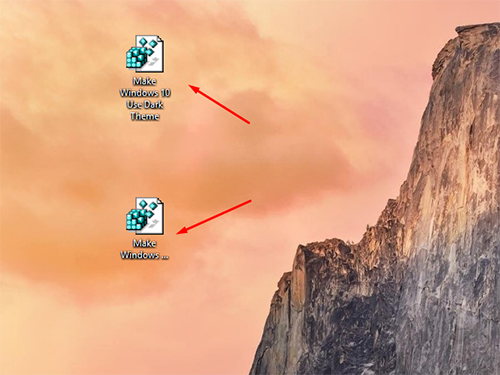 Make Windows 10 Use Light Theme. 3. To enable dark-theme double-click on the dark-theme file and click Yes to the warning pop up. Now you can see the dark theme in action.